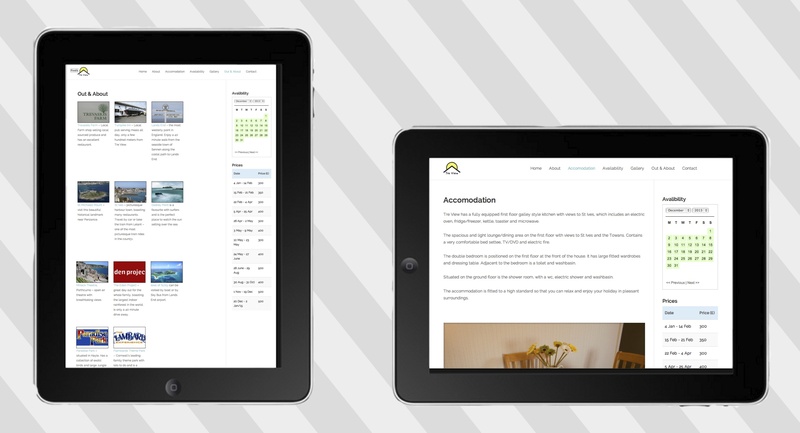 Tre View is a holiday let that wanted a presence on the web. 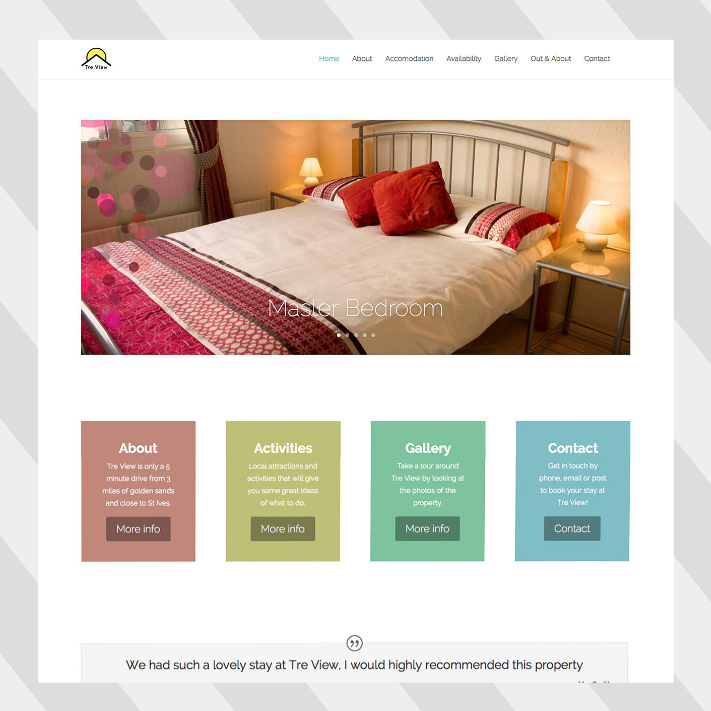 They needed to showcase there self catered accommodation and allow potential customers to make bookings through the website for there holiday. They needed a clean modern design that reflected the style of the accommodation. We designed a fully responsive website so that it could be viewed on mobile phones and tablets as well as laptops and computers. A booking calendar was incorporated so that customers could see if the date they wished to stay was available, as well as price lists, photo gallery and local area information.